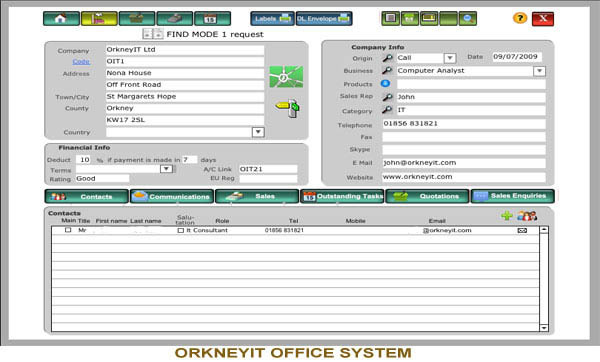 This is our OFFICE SYSTEM that handles all office day to day functions in a simple, shared interface so that all team can access the information to ensure your clients are dealt with professionally and in a system that will reduce the time needed in other systems so that you also see an overall improvement in your profit margins by reducing your administration costs. As with all our databases it will be customised to your company headings and layouts. Create all the documents normally used in your business automatically and with no duplication of typing. Instant management reporting to give you vital information when you need it. A comprehensive Contact Management System, giving you a communications centre providing total correspondence and email facilities, and instant retrieval of all filed documents. 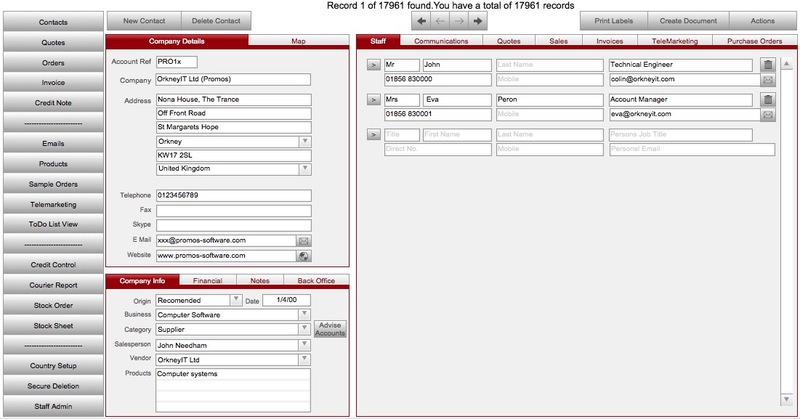 Can be integrated with you catalogue group data. This is the booking screen of our Guest House / Hotel booking manager. 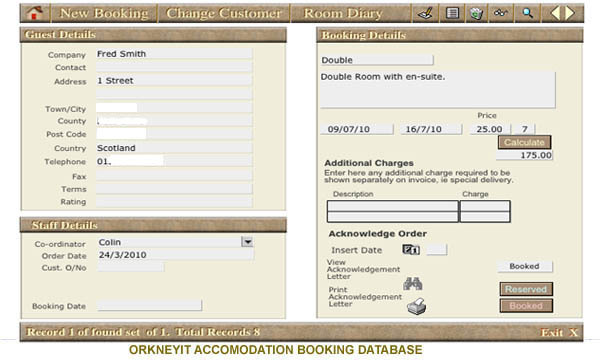 With this database not only can you see at a glance what rooms are free or booked, you can see what preferences the visitor has AND you can use this information to keep in contact with your guests to advise them of up and coming events that they may be interested in. This system will also be able to generates your invoices to give to you guests and you can even get reports of how much you have received, how much is booked and still to come in and how much is reserved. This is our mortgage advisors fact finder database. 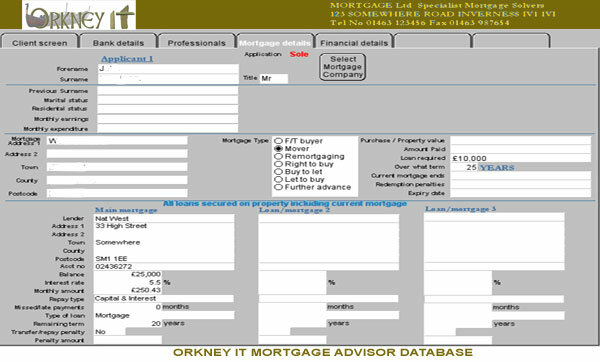 It has been designed from our 20 years of working within the financial industry, in particular mortgages (yes I even have the old FPC certificates). It goes through all questions required for compliance and the reports can be printed at the end to hand to your clients.